…Another great piece of advice I received more recently is: Always assume positive intent. It’s so much more pleasant and calming to approach things from that mindset. Despite someone’s action being frustrating or damaging,nine times out of ten the intent was indeed positive. So if you start from that place it just makes the aftermath and lesson of it all so much easier. I had the pleasure of interviewing Meredith Ferguson, Managing Director of DoSomething Strategic — the consulting arm of DoSomething.org, which is the largest global organization for young people and social impact. 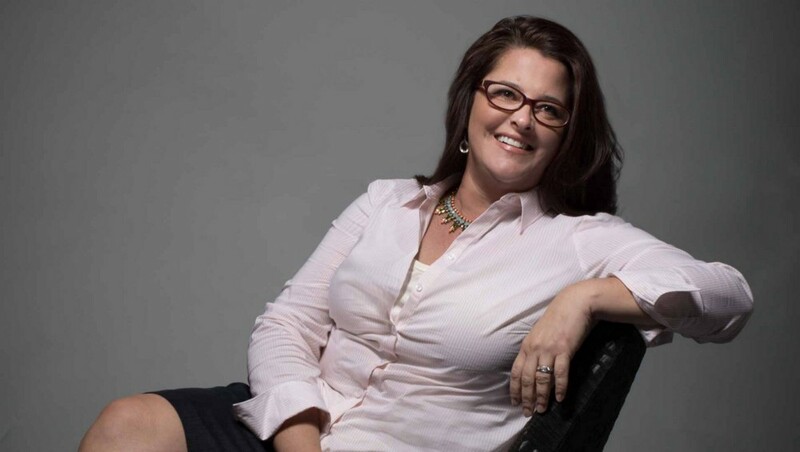 Meredith’s career has spanned both client and agency roles where she has spearheaded youth-focused engagement strategies and business-driving marketing strategies for national health, retail, and restaurant brands. 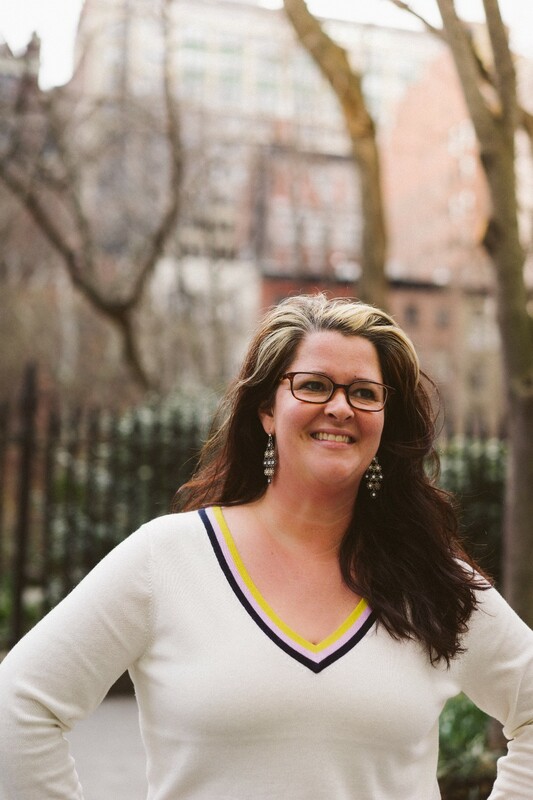 Meredith is an adjunct professor of Public Interest Marketing at Fordham University, a [email protected] contributing columnist, and has served as a judge for the Positive Change Effie Awards and the D&AD Impact Awards. She is also a graduate of Vanderbilt Law School where she was a founding member of the Vanderbilt Child & Family Law Clinic and later served as a board member for Court Appointed Special Advocates (CASA). I actually started my career as a lawyer and quickly realized that while I loved law school, I hated practicing. So I quit. With no idea what I was going to do next. I eventually ended up in the marketing and agency worlds, which is where I’ve stayed for the last nearly 20 years. I didn’t start the company; I was brought in early on to help run it and grow it. This company appealed to me because I had worked for agencies for years, and, at the time, having an agency focused solely on social good was unheard of. It’s become much more commonplace now, which is great, but it was very new even just 5 years ago. When I learned about TMI (it’s former name), I knew I needed to work there. I wanted to work with Aria (our CEO), who is incredibly dynamic and smart, and help build this special agency into a real thought leader in the brand purpose space. But getting the job meant moving our family from our lovely home with a big yard in Cincinnati to a small 2-bedroom apartment in NYC. We did it. 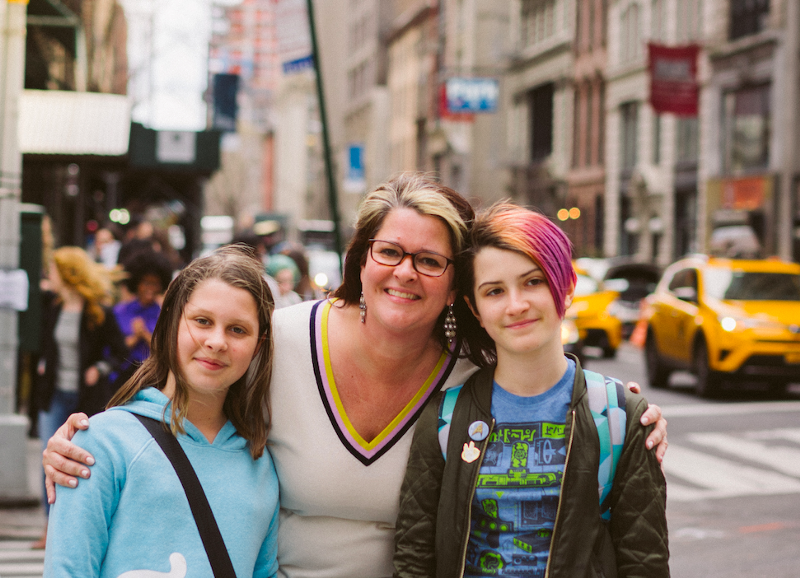 We sold nearly everything we owned and moved our two young kids to NYC. Best decision we ever made. We’re a consulting group focused exclusively on young people and social good, which is unique in and of itself. And while it’s become very much “on trend” to use purpose in marketing, DoSomething.org has been activating young people ages 13 to 25 around our world’s most pressing causes for over 25 years. And because of this rich experience and the conversations we have with millions of young people every week, we really know young people. But what really makes us disruptive is our data and how we use it. Through our platform, we have data on what issues young people care about, how they take action, what platforms they use to connect with one another, and how they expect organizations and brands to use those platforms to connect with them! There’s what young people say they do and what they actually do…and our data provides an intimate look into their actual behavior. So, our proprietary data coupled with our deep understanding of young people allows us to help brands build relationships with this unique demographic and amplify their passion to change the world. The other disruptive element is our business model. What we’ve created and are building is a revolutionary new NGO model where we use our expertise in the form of a fee-for-service strategy consultancy to sustain the mission-driven work of the bigger organization. And it all centers around the same vision — young people + social impact. It’s pretty cool!! I had a boss, Tim McCort, who was truly incredible — he showed me what it meant to be a compassionate and wise leader and how to keep perspective while still driving to success. He’s brilliant and kind, and I still reach out to him for advice and guidance. One of the most life-changing things he said to me was about how I approach my work. I was struggling with feeling like I wear my heart on my sleeve and that perhaps I shouldn’t…and he told me that my passion is what makes me so valuable. That people have strengths and “allowable weaknesses” and that you can’t have one without the other. He affirmed that he wanted me to bring all of me to work, not just one part. That I couldn’t do it any other way because if I tried to shut down those “allowable weaknesses” I would also be shutting down my strengths. WOW. I had never heard anything like that before. As a woman with a strong personality, I had actually heard just the opposite. So, this was the first time I was given permission to be myself…and be celebrated for it. It truly changed my whole perspective. I try to bring that wisdom to bear with my own team now. I also lean on my husband, Josh, a lot. I mean, A LOT. I’m extremely lucky. He’s very wise and thoughtful. He also reminds me what’s really important and to not take it all too seriously. He shows me how to have fun, which can be easily forgotten in the business of serving clients. He’s my sage and my clown…like a jester in a Shakespeare play — they’re always the smartest, most insightful characters! We’re actually in the throes of some vision work for our agency now. It’s become increasingly competitive in the purpose space, but our North star — giving agency to young people who have the power to change the world — allows us to be innovative in ways that others can’t be or aren’t. So, we’re looking at ways to break the boring and ineffective status quo to bring some fresh thinking and insight into how brands and organizations tap into young people for positive social change. One of my first boss’s was a British guy named Andy Mackay. I was in my early 20’s working at the British Embassy at the time…and as one of the few Americans who worked there I was like a bull in a fine British china shop. He told me that despite British culture & instincts, directness provided clarity and to own that.To not let anyone tell me differently or to tell me to tone it down. I was shocked and incredibly grateful for that advice and it has never left me. Another great piece of advice I received more recently is: Always assume positive intent. It’s so much more pleasant and calming to approach things from that mindset. Despite someone’s action being frustrating or damaging,nine times out of ten the intent was indeed positive. So if you start from that place it just makes the aftermath and lesson of it all so much easier. Lastly, my mom passed away recently…and suddenly…and it was so, so hard. One of the things she used to always say when we — her children — or her grandchildren used to break something or stain something or whatever…she would just say “It’s just stuff.” She knew no one meant to do it…and, in the big scheme of things, it doesn’t really matter. It’s all just stuff that can be replaced…or not. And with her being gone now, I am just eternally grateful that she/we didn’t spend worrying about that little “stuff” and we just loved and forgave and moved on. It’s a lovely lesson, really. I just read the book, The Gifts of Imperfection, by Brene Brown. 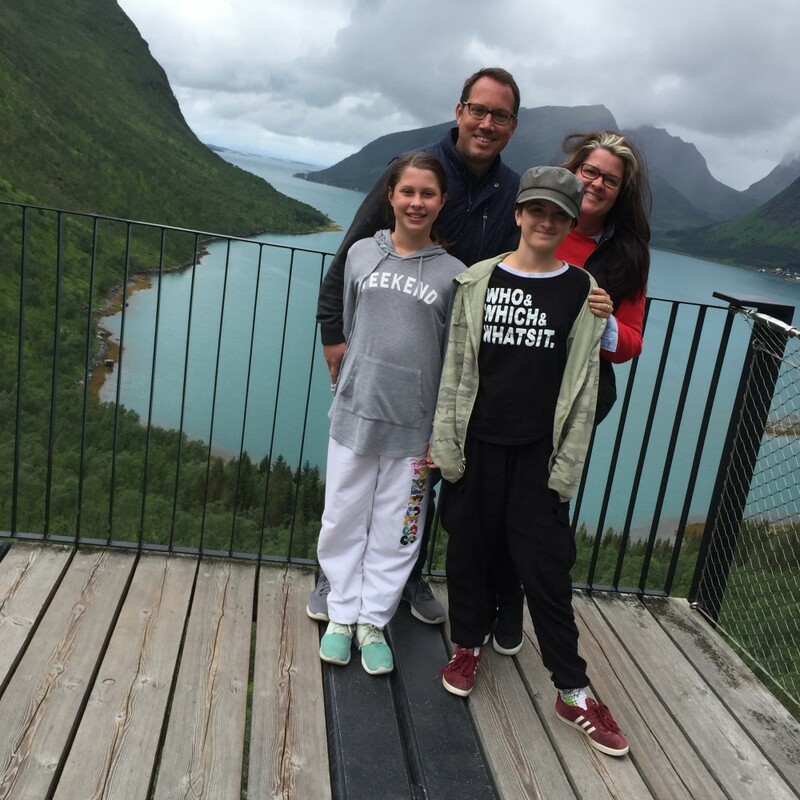 I took a three-week vacation with my husband and two kids to northern Norway after a stressful 6 months of work…and just took time to regroup and get perspective. And, boy, did this book help. There are so, so many takeaways from it, but perhaps the biggest overarching lesson of all is that peace of mind and perspective and self-love and gratitude is a practice. It doesn’t just happen…you have to work at it. Sold! Oprah’s SuperSoul Conversations podcast…need I say more?